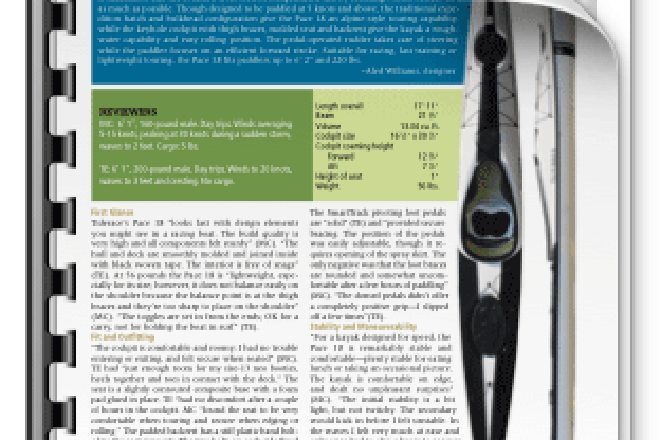 The US based Sea Kayaker magazine reviewed the Pace 18 in October 2012. 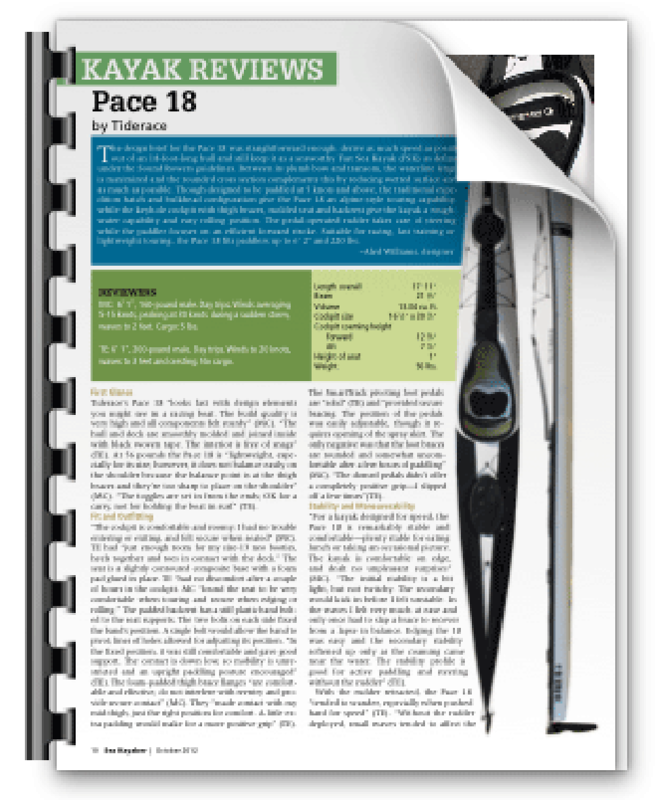 “With the Pace 18, Tiderace hit the mark nicely for a fast cruising boat. The stability is reassuring and the speed impressive”.